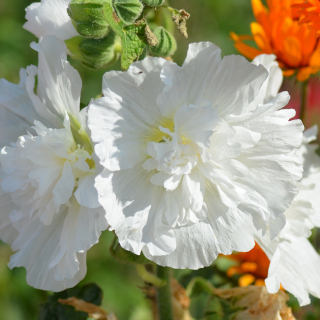 Hollyhock 'Chaters Double Mix' is an upright biennial flowering plant growing to about 160cm tall. This mix includes rose-like double flowered varieties in purple, pink, red, apricot, yellow and white. 40 seeds per packet.